This competition has now finished. Keep an eye on our Facebook page for future giveaways! 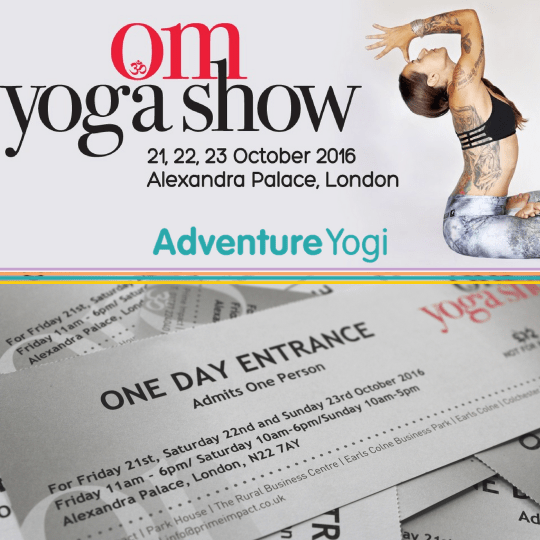 Not only are we pleased to announce that we’ll be exhibiting at the Om Yoga Show London 2016, but that we’ll also be giving away 11 pairs of tickets to the show! Our Om Yoga Show competition will be running from Saturday, October 1st until Friday, October 14th at midnight GMT. We’ll be doing two separate contests, one on Facebook and the other on Instagram. Feel free to get involved in both! 2) Both like us on Facebook. 1) Follow us on Instagram. 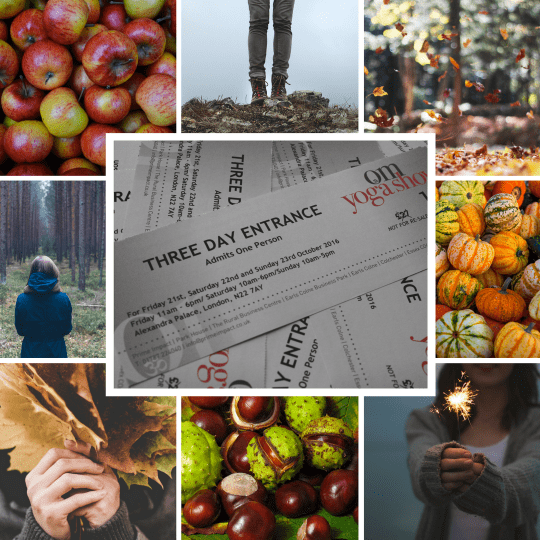 2) Post a photo on your account of your favourite thing about Autumn. This can be anything you like as long as it fits the theme, so get creative. 3) Use the hashtags #adventureyogi and #omyogashow in your photo’s caption. We’re very excited to see everyone’s entries and participation, and wish you all the best of luck in this Om Yoga Show Competition! Whether you win or just take part, we hope to see you at the show. 1. The promoter is: AdventureYogi Limited 2014, Registered in England and Wales: 08227881 whose registered office is at 41-43 Portland Road, Hove, West Sussex, BN3 5DQ. 3. Closing date for entry will be 14th October 2016 at midnight GMT. After this date the no further entries to the competition will be permitted. 4. No responsibility can be accepted for entries not received for any reason. 5. The promoter reserves the right to cancel or amend the competition and these terms and conditions without notice in the event of a catastrophe, war, civil or military disturbance, act of God or any other event outside of the promoter’s control. Any changes to the competition will be notified to entrants as soon as possible by the promoter. 7. Winners will be chosen by a randomiser. 8. The winners will be notified via social media within 24 hours of competition closure. If the winner(s) cannot be contacted or does not respond within 3 days of notification, we reserve the right to withdraw the prize from the winner and pick a replacement winner. 11. The winner agrees to the use of his/her name and image in any publicity material. Any personal data relating to the winner or any other entrants will be used solely in accordance with current UK data protection legislation and will not be disclosed to a third party without the entrant’s prior consent. 12. This promotion is in no way sponsored, endorsed, administered by, or associated with Facebook or Instagram. Winners will provide their information to AdventureYogi and not to any other party. 13. This competition is open to UK residents only. Entries from outside the UK will not be counted. 14. Tickets won will grant either one day or three day access (depending on competition entered) to the Om Yoga Show, Alexandra Palace, London, N22 7AY.